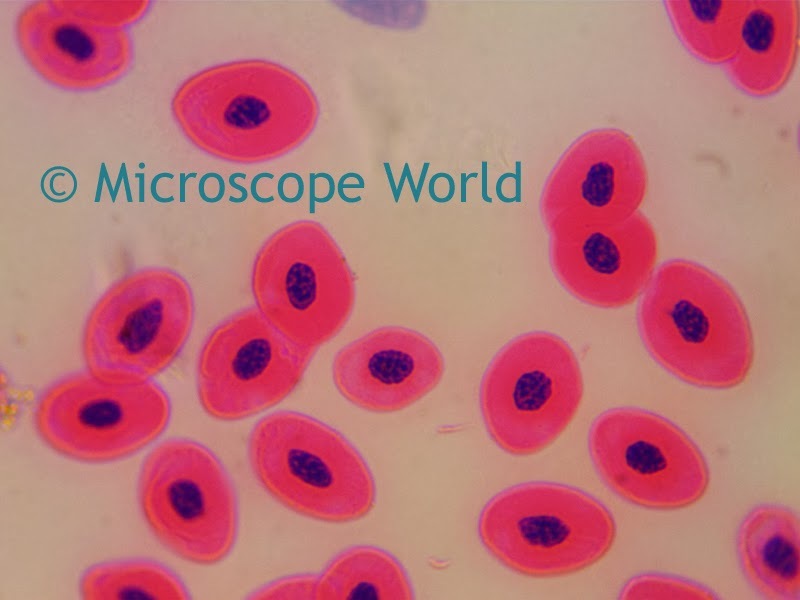 If you look closely at the 100x objective lens on a light microscope, you will usually find the word "OIL" written on the lens. This inscription means that the microscope lens is an immersion oil objective lens and the best results will be obtained using immersion oil. Immersion oil is placed between the top of the cover slip and the bottom of the 100x oil lens, essentially sealing out any air between the specimen and the microscope objective lens. 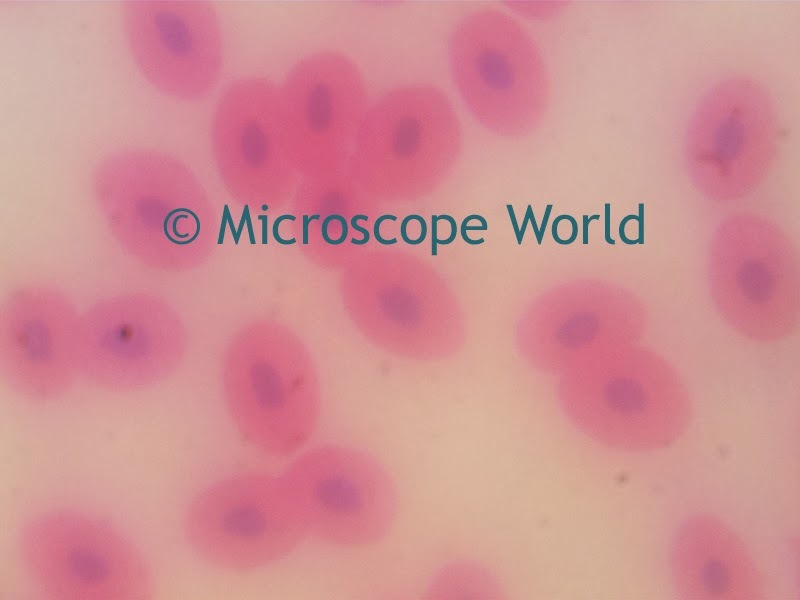 These images of frogs blood were captured using a 3mp microscope camera and the U2 biological microscope. One image was captured without any immersion oil, the other image was captured using immersion oil. Frogs blood, 1000x magnification, no immersion oil used. Frogs blood, 1000x magnification, using immersion oil. Notice the difference in clarity between the two images that were captured at 1000x magnification. Once you have finished using the microscope with the immersion oil. Be sure to clean off the objective lens so the immersion oil does not harden on it.